This 2018 Catch the Moment 365 Week 28 is coming to you late because after we got back from vacation, I started to have some health issues. We are still trying to figure them out and it’ll be a while before I have the next step. So in the meantime, my posting here and on my social media may be scattered. Hopefully, though, I’ll get back into a routine which likely will lessen my worry. So pretty please stick with me! The majority of photos from this week are from our vacation, which gives us a bit more variety than what I normally share. I did miss a day that week, which I was kind of surprised by. 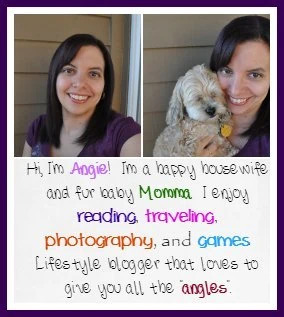 But coming at you with six photos and only two before we left for vacation! 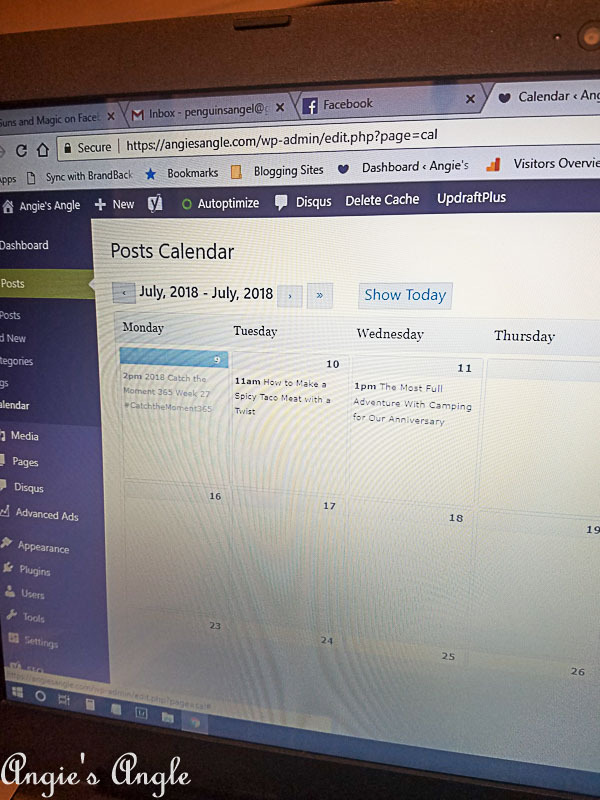 Day 190 – Monday, June 9th – Was so excited because I had actual stuff scheduled for the upcoming week. Took this photo for instastories but ended up being the only photo I took this day. 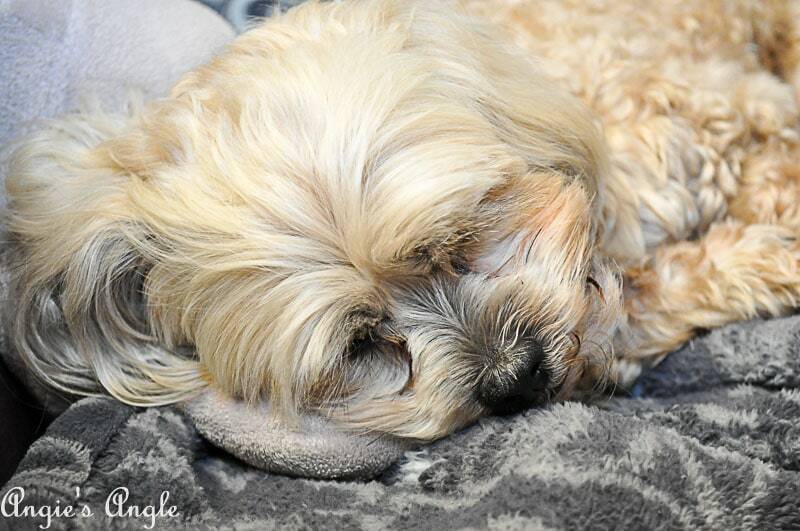 Day 191 – Tuesday, June 10th – My curled tight sleepy girl. Taken because it was late at night and realizing not a single photo was taken for the day. 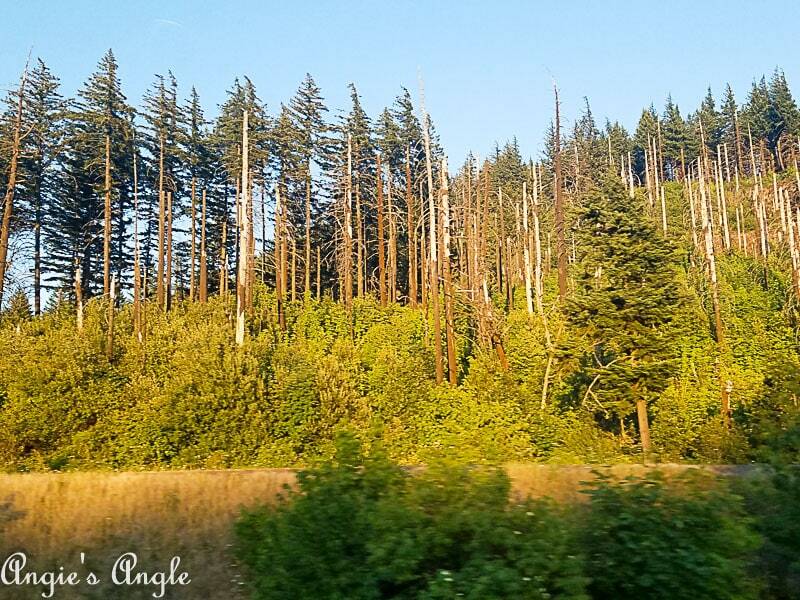 Day 193 – Thursday, June 12th – On our way to the Tri-Cities for the night before we head to Idaho. I took this quick photo of the trees in the Gorge. Loved the way the sun was hitting these. We saw a lot of damage from last years wildfire too. 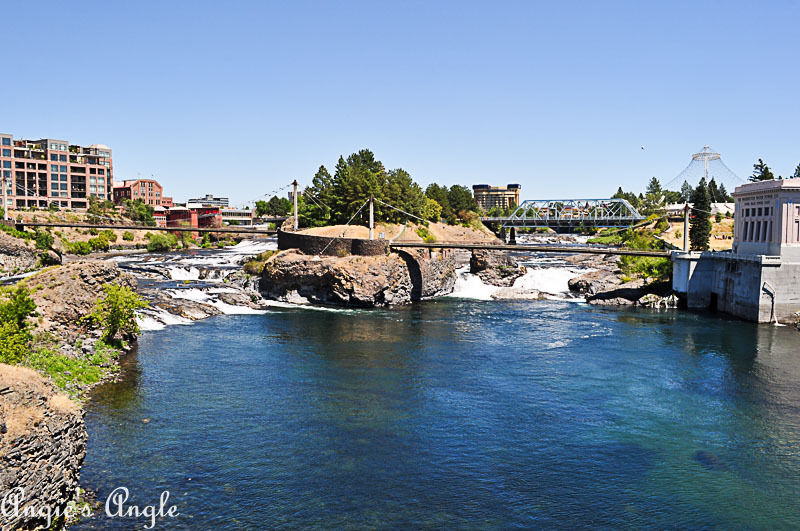 Day 194 – Friday, June 13th – We decided to stop at Riverfront Park in Spokane on our way to stay with my sis in Mullan. Believe it or not, we didn’t explore Spokane much at all while living there and even me growing up in St. Maries. It just didn’t happen. So I decided it would be fun to finally explore Riverfront Park some. It was beautiful but way too hot. We picked up Roxy quite a bit because we worried about the heat on her paws. Next time we’ll do more exploring and hopefully, half of the park won’t be under construction. Day 195 – Saturday, June 14th – I had mentioned before that I remembering going to the Bison Range in Montana while growing up. As an adult, I don’t think I had ever been. So my nephew Travis, my sister Kris, her boyfriend George, Jason, myself, and of course Roxy loaded up to head to the Bison Range early Saturday morning. Even by the time we got there, it was already getting warm. 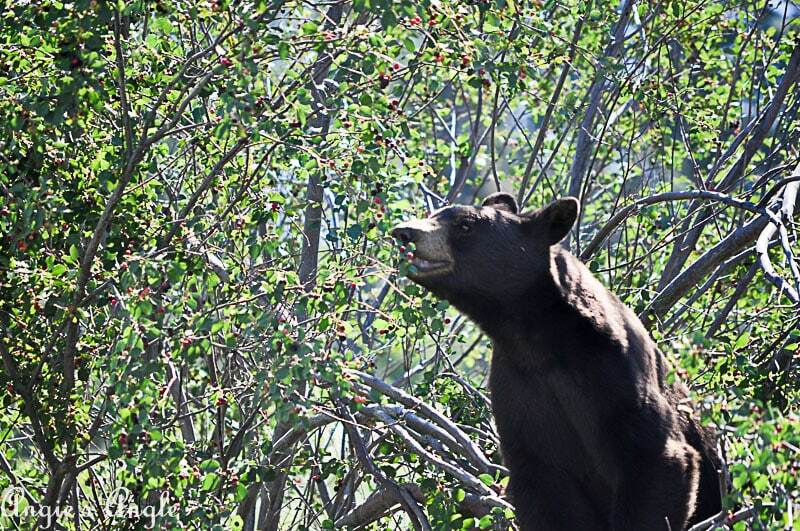 Lucky for us though, we spotted this bear right next to the road chowing down on some berries. Before this, we saw a Momma bear with her baby. So flippin’ cute. Seeing the bears made the whole trip worthwhile. We saw quite a few more animals on the end of the loop by the water though too. Day 196 – Sunday, June 15th – Taking family photos outside and Roxy decided to snack on some grass. 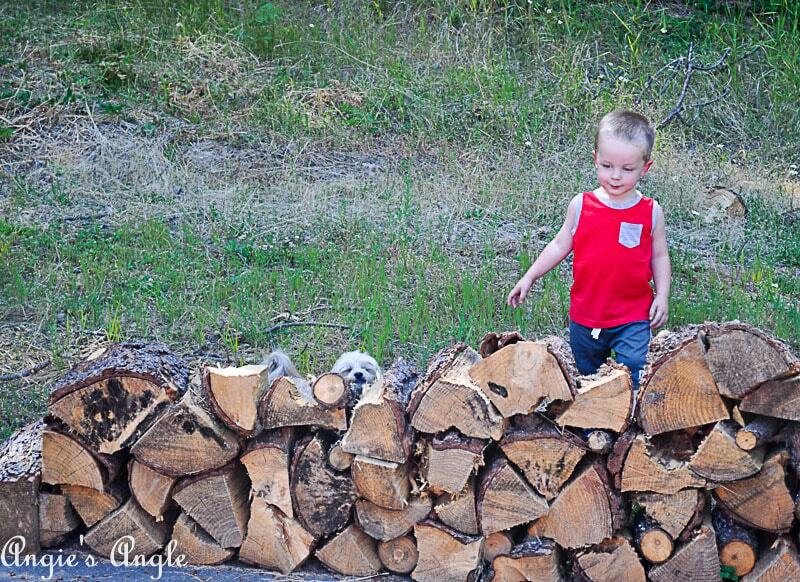 She happened to pick out from behind this woodpile and Jason caught it. So cute!